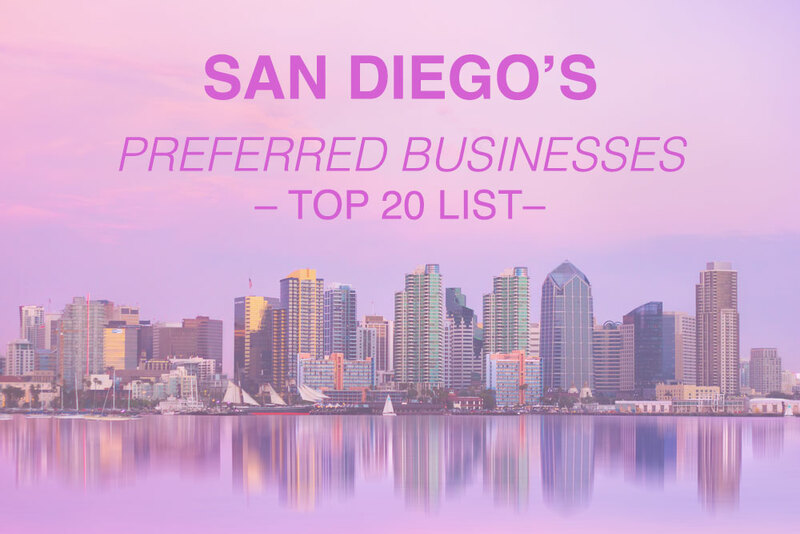 If you’re looking for some of San Diego’s preferred businesses look no further. These San Diego businesses are trustworthy and I know each and every one of them, making them who I consider high quality and trusted contacts. They not only excel in their field, these business owners in this list know how to treat their customers like friends and family. They succeed because they go the extra mile for you and provide the most in demand services in San Diego. I’ll be including a special story about each San Diego business owner listed below. I’ll also be continuously adding to this post! Ed Badrak works the hardest and is known for “going to bat and fight” for his clients. If you’re retired and looking to refinance your home in San Diego, Ed Badrak is hands down the the right choice to make when selecting a broker. If a mortgage broker is telling you there’s no way you’ll quality, don’t lose hope. Give Ed a call! Awesome fact about Ed, he’s a Vietnam Veteran – Thank you for your service Ed! 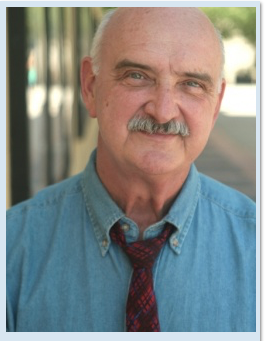 San Diego’s favorite mortgage banker – learn more about Ed. 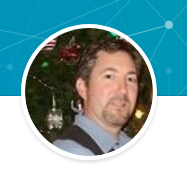 Jim Ouellette and his team at Hyphenet feel like a part of your own team. They do not just respond to IT requests, they call just to check in on how things are going. It’s their priority to deliver great technology solutions that are custom tailored to your business needs. They even take the time and great attention to detail to talk through alternatives to ensure you end up exactly what you’re looking for in terms of cost and value. They care about their customers. coworkers and community members. 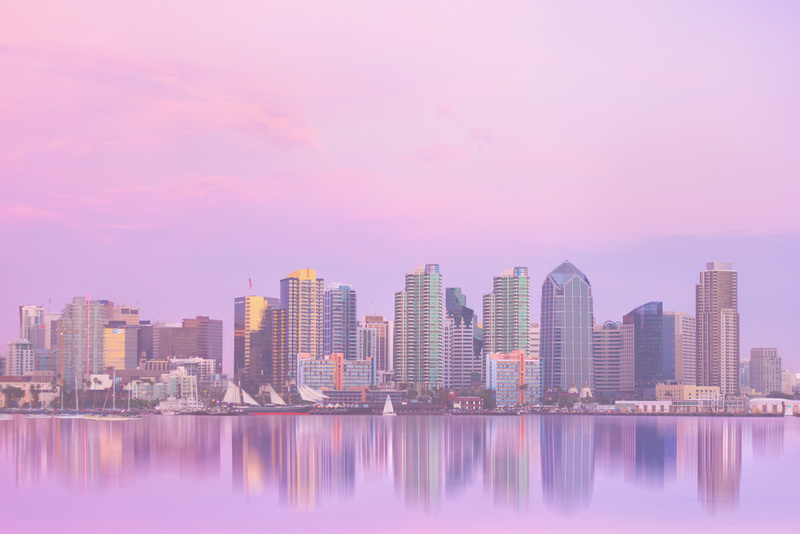 Learn more about Hyphenet’s San Diego Managed IT Services. 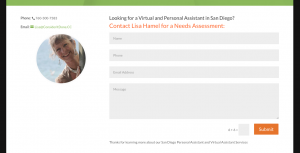 Looking for a personal assistant in San Diego? Be sure to contact Lisa Hamel, the lady that “turns your to do’s into ta da’s. She specializes in helping small businesses in San Diego save time and money by outsourcing their needs. This web client had all her content, images, and logo ready for me, what a dream! All I had to do was get her a wordpress platform ready and teach her how to blog. 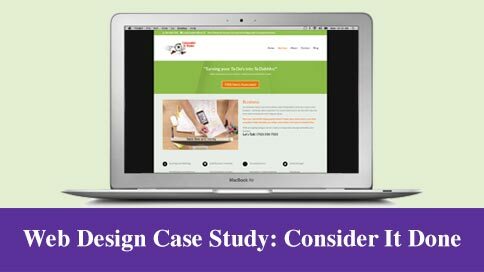 This was a special client that wanted to be a part of the design process, so she basically designed the website herself. This is a new SEO project and it takes nearly three months for me to get a page 1 listing in Google for targeted long tail keywords. Please check back on my progress! Working with web site clients is a rewarding experience. 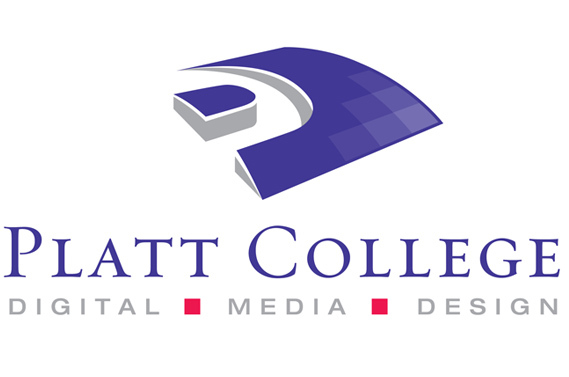 I get to learn all about their business and strategize ways to improve their website’s SEO and usability. 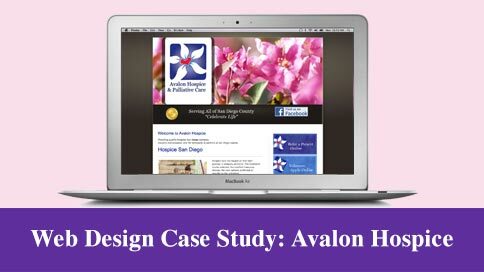 Today I’d like to share a case study regarding a well respected hospice in San Diego called Avalon Hospice & Palliative Care. I added a couple of nice buttons on the side navigation. Purple and blue. The next important task was to make all the online forms digital. They were previously in .PDFs and the call to action was for the user to fax the forms. This is considered outdated and time consuming for a patient. 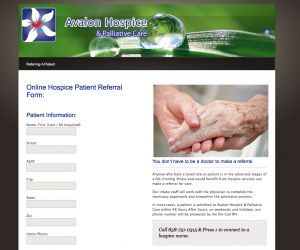 This was converted into a nice clean form the user can either refer a patient to hospice care or volunteer as a hospice care taker in San Diego. Best of all, the form sends the staff a text message alerting them about a new patient referral or volunteer. This was not a website redesign project. I’m just sharing a couple of web design improvements for a better user experience.